One thing I’d like to work on is my blog photography, I don’t have access to a photographer like many bloggers (though I am trying to teach the boyfriend!) but I think that’s something to aim to do in the coming months. I’ve been trying to get more ‘back into’ fashion blogging and after being contacted by Ocean Loans about their summer challenge I knew I had to take part. I know what you’re about to stay but how is this summer fashion? To me when I’m in England it’s summer fashion (as we don’t have the best weather going!). 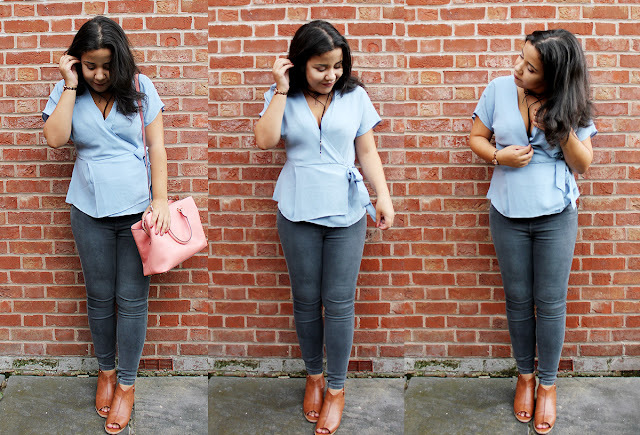 I think one way to update your wardrobe in the warmer months is by adding colour and this pale blue blouse caught my attention on a trip to New Look. I live constantly in black jeans and knew I needed to have a bit of a jean update so I picked up these skinny dark grey jeans too. I’ve been embracing the ‘choker’ trend too and I absolutely love wearing them. This one gives my simple outfit a real 90’s feel. You can also see some of my favourite chokers in the shop section of my blog. 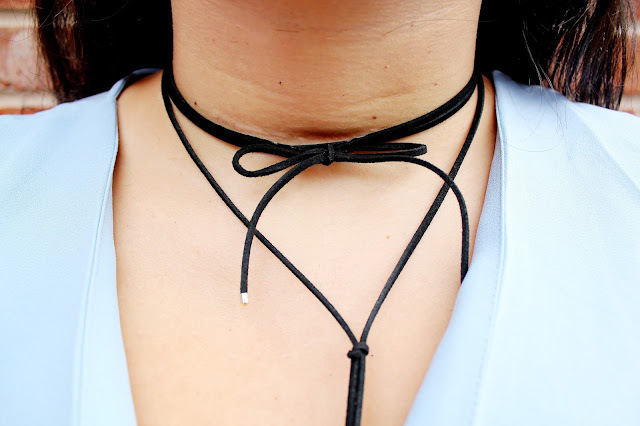 I think this is a really affordable trend as you can easily make your own choker too. This blouse was a complete bargain (at only £17.99) and it comes in other colours too. I think it’s perfect for wearing for a date night, night out with the girls with a pair of heels or paired down during the day with a trench coat and a pair of black boots. 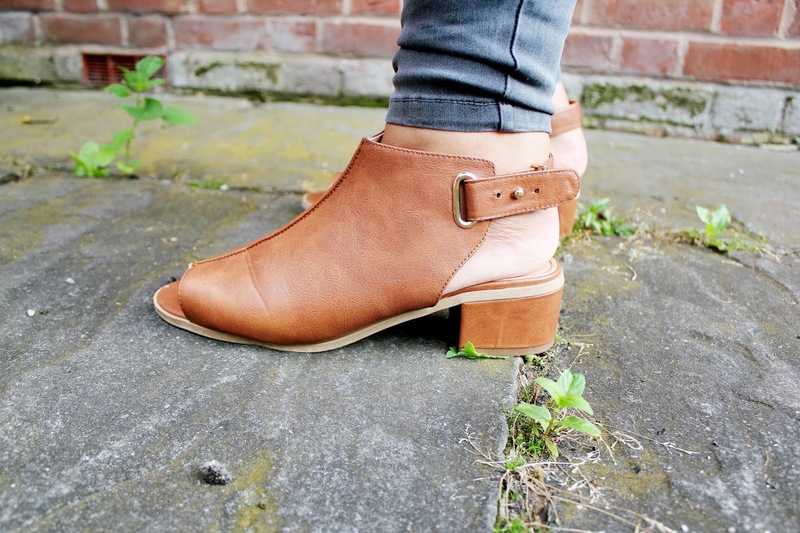 I love wearing this blouse with these tan shoes as they add a little bit more colour to an everyday outfit. What do you think of this post? Are you embracing the choker trend? Will you be picking this blouse up when you’re next in New Look?